Jeffree Star is an Internet celebrity, make-up artists and a YouTube legend. 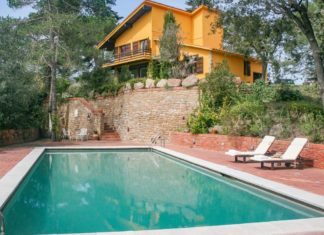 His creations are sometimes shocking, often provocative, but always sensational. 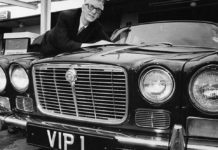 His cars are no different. He enjoys showing them off to his Instagram followers (all 6.4 million of them). 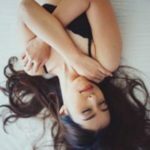 These are five of the most amazing ones. When it comes to luxury sports cars, BMW i8 is top of the line. 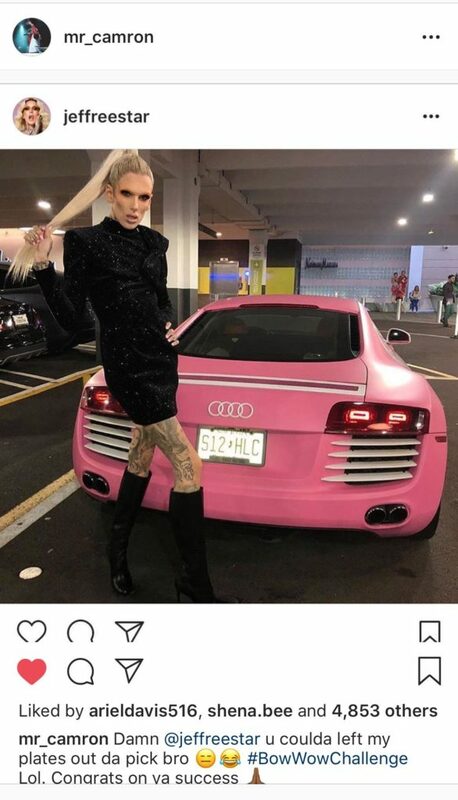 With a price tag of almost $150,000, they aren’t cheap cars, but when custom jobs Jeffree always have done on his cars are factored in, the price goes way up. This i8 was redone by West Coast Customs, and the theme was Barbie pink, not just on the exterior, but interior as well. Powered by 5.2-liter V10 engine, naturally aspired of course, Lamborghini Huracan is one of the most sought-after sports cars in the world. With 600 horsepowers, the car is capable of reaching the speed of 60 miles per hour in 3.4 seconds. 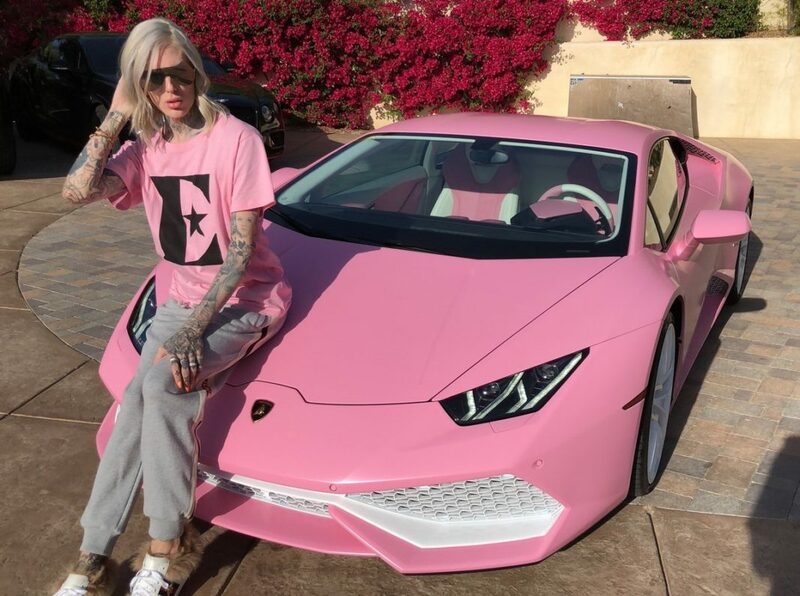 Jeffree had the West Coast Customs studio redesign the car in his favorite Barbie pink color, with a white trim to accentuate the details. Another BMW in Jeffree’s collection is Z4 from 2016. West Coast Customs had the car painted in Barbie pink, but this times the details, like the rims and grills, are in black. Windows are also black tinted, to match the rest of the car. Few cars can say style and elegance the way Rolls Royce can. Jeffree owns a 2018 Black Badge Edition Wraith, powered by the 6.6-liter V12 engine, delivering 622 horsepowers to the wheels. 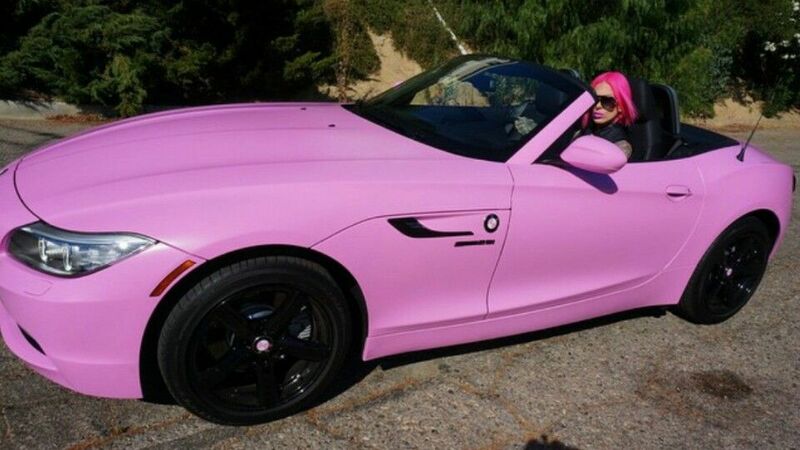 He took the car, reselling at $317,700, to the West Coast Customs to get it painted in his trademark Barbie pink, but the roof and the hood of the car were done in black, creating an interesting contrast. 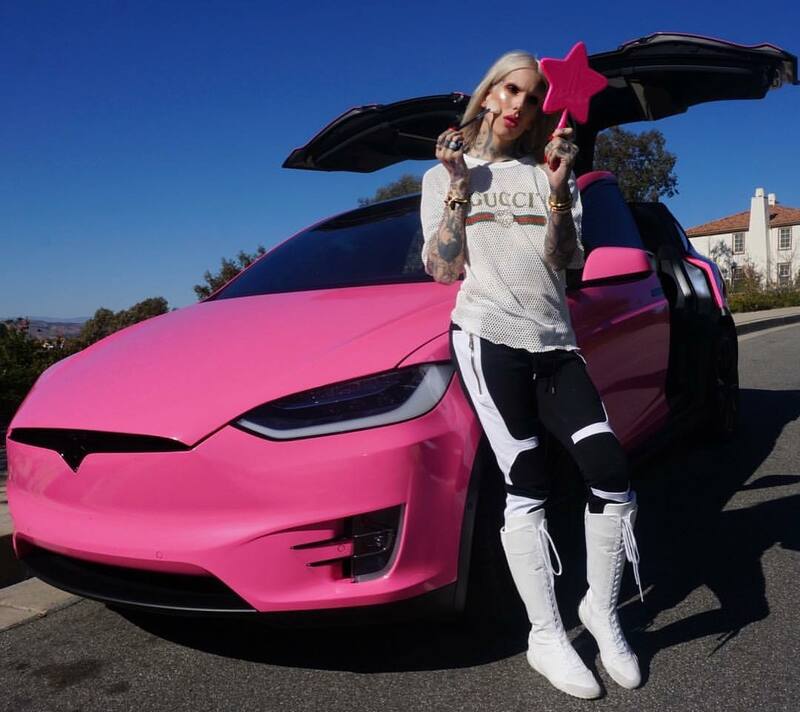 Jeffree likes to stay in pace with the times, so he splurged on the latest Tesla Model X. 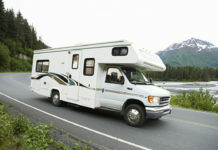 The all-electric and eco-friendly SUV was restyled by the Sticker City in Barbie pink, with the coal-black interior and ivory trim on the exterior details.